So there is no disappointment on race day, should you wish Sell / provide food or drink or any other items to the public on race day, you will need prior permission from the Pram race committee this is to ensure the safe and smooth running of The Pram Race. The Pagham Pram Race year on year attracts crowds in excess of 4000 people of varing ages. 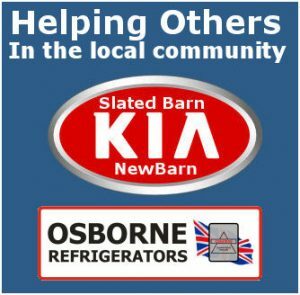 The crowd tends to be present outside the Lamb Public House for a 2hr period (10am to 12pm).Street Traders have in the past set up without the approval of the Race Committee in the carpark opposite the Lamb and have not donated anything to the Pram race fund. It was unanimously decided by the Race committee that any street traders wishing to trade on any part of the race route and anywhere within the road closure area, that they can only do so with the prior permission of the Race Committee. All street traders will have to show proof of a valid Public liability insurance certificate and that they hold a valid Street Traders Licence. 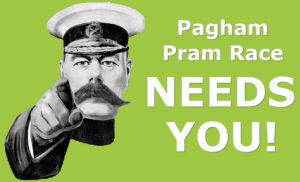 Approved traders will be required to pay a fee of £25.00 which will be classed as a donation to the Pram Race Fund. Approval will be for 1 event only. All street traders will have to show proof of a vaild Public liability insurance certificate and that they hold a valid Street Traders Licence. Approved traders will be required to pay a fee of £25.00 which will be classed as a dontation to the Pram Race Fund. Approval will be for 1 event only.